The nation’s largest 20th Century National Register Historic District. The area features more than 800 historic buildings erected during the 1920s, 30s and 40s, and contains a variety of architectural styles. Walking, bicycle and private group tours are available. 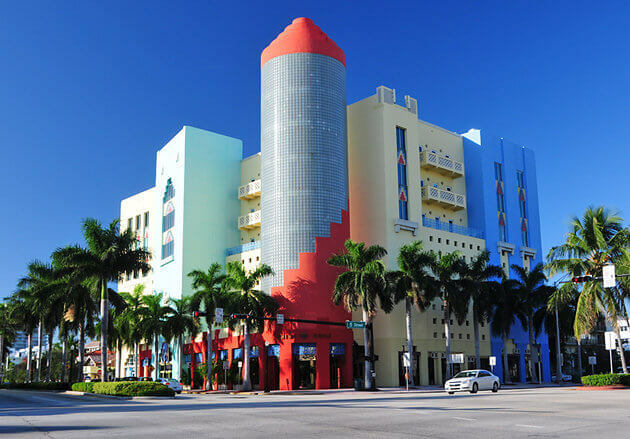 Walking tours of the district depart from the Art Deco Welcome Center every day 10:30 a.m., with an additional tour on Thursdays at 6:30 p.m. Self-guided audio-tour available daily. Private group tours are also available.